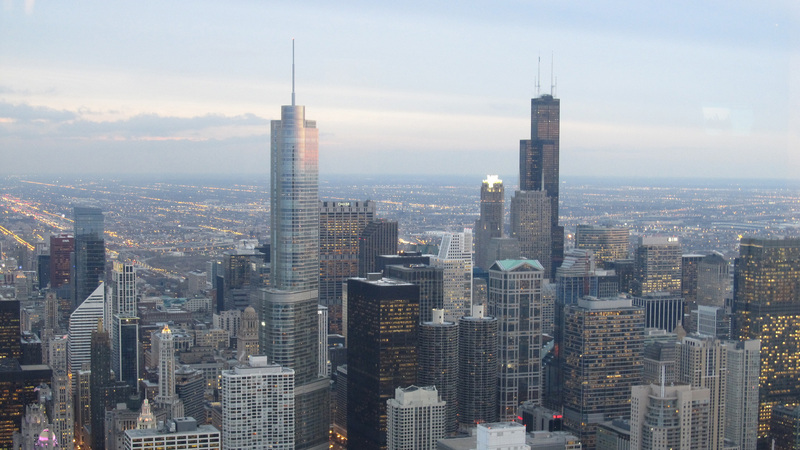 Chicago made significant strides as a technology innovation hub in the eyes of industry leaders over the last year, according to KPMG’s 2017 Global Technology Innovation Survey. The survey, conducted last fall, asked 841 industry leaders from around the world a series of questions, such as: Which three cities around the world will be seen as a leading technology innovation hub over the next four years? Chicago ranked sixth on the list – 12 spots ahead of its ranking in the 2016 survey – in a tie with Washington D.C., Berlin and Tel Aviv. “There’s been a big effort in the last five years or so to develop technology ecosystems,” said Erin Grossi, CEO of the nonprofit Center for Neighborhood Technology. Grossi went on to list Grub Hub, Groupon and newer companies such as healthcare startup incubator Matter as examples of Chicago’s leading technology innovators. Document: Read the KPMG report A host of recent studies have similarly identified a growth spurt in Chicago’s technology sector. In 2016, 179 tech companies in the city raised around $1.7 billion, according to data compiled by Built In Chicago. That’s more than a $1 billion increase since 2012, during which tech companies raised $391 million. Illinois universities have also been contributing to the technology landscape. Between 2012 and 2016, the Illinois Science and Technology Coalition found that state universities created more than 800 startups, 76 percent of which are still active or have since been acquired. Nearly 500 of these companies remain in Illinois, a factor that Grossi attributes as instrumental to the city’s high ranking. “The effort from trying to keep this brain drain from happening is really important because we have top talent here,” Grossi said. She lists Columbia College and Northwestern University as leading producers of technology innovators. But Grossi says the city needs to do more to advertise itself as a leader in technological innovations. March 10: A weeklong event brings coders and innovators together – both virtually and in person – to build websites and mobile apps to help veterans. Sept. 16, 2016: Sadiq Khan, the recently elected Mayor of London, is in Chicago to stoke business relations between the two cities.